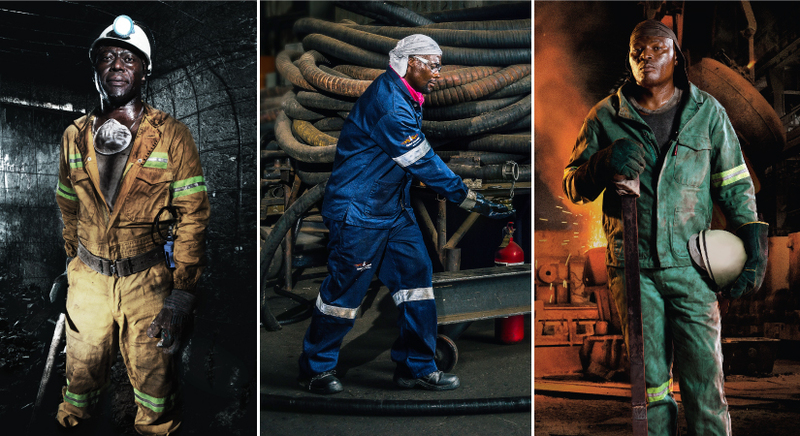 Our broad range of garments are manufactured using Flame Retardant (FR) and Inherently Flame Retardant (IFR) materials, and can take the heat in low, medium and high-risk environments. Flames and fires pose a real risk in a variety of work environments. Specialised flame retardant workwear is essential when it comes to protecting workers from superficial burns, serious injury and even loss of life. Flame retardant workwear not only protects those who work in high-risk environments, but can also affords workers a little more time to contain accidents at work, preventing large scale damage to property and the environment. Protective workwear poses a number of challenges. It needs to be comfortable, functional, durable and safe. Our workwear makes use of effective non-toxic flame retardant properties and inherently flame retardant fibres to ensure that workers are protected when they’re in the line of fire. Sweet-Orr’s Flame Retardant ranges consists of Flame Retardant (FR) for low-moderate environments and Inherently Flame Retardant (IFR) for high-risk working environments. Flame Retardant: These fabrics are chemically treated after they have been woven, to give them the properties required to withstand flames. Flame retardant protective garments are made by treating woven fabrics with chemical compounds, before assembly. Using an immersion process they are given their protective properties by a combination of chemicals, which may include substances such as dialkyl phosphono propionic acid amide-N and methylol. These fabrics are useful in environments where the risk of flame-related incidents is low to moderate. Sweet-Orr’s flame retardant products provide adequate protection to a variety of workers, including boilermakers and welders. Inherently Flame Retardant: These fabrics are made by weaving hardwearing microfibres that naturally have the powerful properties required to withstand bursts of heats and exposure to flames. Because these fabrics are inherently non-flammable, they offer reliable protection against flames for the entire lifespan of the fabric. Inherently flame retardant garments are made by weaving and blending fibres and materials that naturally have the properties required to keep workers safe, into tough fabrics like Nomex®. Inherently flame retardant fabrics, like Nomex®, by DuPont™ thrive in workplaces where the risk of flame-related incidents is constant. These fabrics are standard issue in high-risk environments like oil refineries, because they can be trusted to provide premium protection at all times. The protection is woven into the fibres, thus there is no risk of the flame retardant properties breaking down or washing out over time. In fact, they remain noncombustible for the duration of the lifespan of the fabric. Flame retardant fabrics aren’t all equal and expert knowledge is required to select the right combination of chemical compounds or inherent fabrications to protect workers in different environments. At Sweet-Orr, our skilled team can help you choose flame retardant continental suits, jackets, trousers and boiler suits for a variety of industries and applications. Deciding whether to go FR or IFR should be determined by your intended use and your environment. Our flame retardant garments are made for everyday use, comply with local and international safety standards and are easy to wear. Questions about our range of Flame Retardant workwear? Click the button below and complete the quick and easy form. A member of our team will be in touch to determine your needs. Manufactured using Flame Retardant (FR) and Inherently Flame Retardant (IFR) materials, our garments can take the heat in low-risk and high-risk environments. When comfort is key you can count on cotton. Our J54 and D59 fabricated garments are made from 100% cotton to provide reliable everyday protection and durability in low-risk environments.